Also, your tables in MS are kpa, why convert? Yes, if you are tuning it yourself, kpa is a much smarter way to go. metric system ftw. Why bother with inches of mercury and pounds / square inch when you can have a continuous scale. It's easy to convert too. 100 kpa = 14.5 psi which is atmospheric pressure. So 100 kpa is zero boost and 300 kpa is close to 30 psi of boost. I guess I never realized how the kPa system worked with vac vs. boost. Good to know. 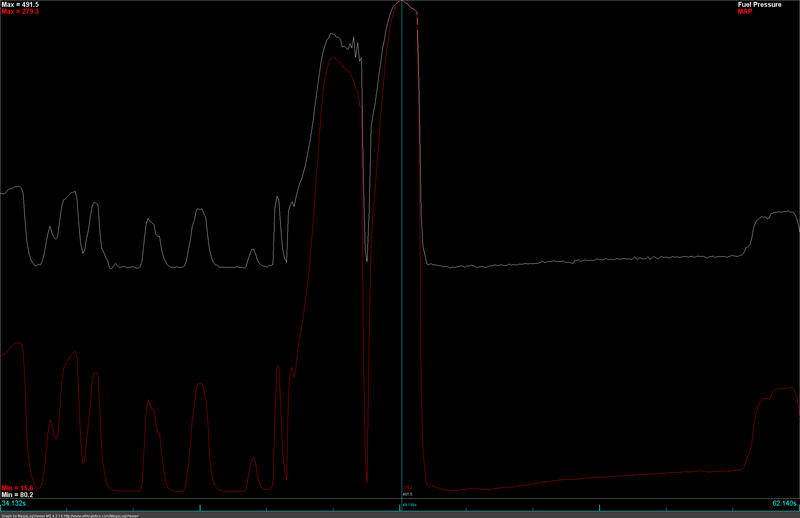 I was still having fuel pressure dropping at high boost in 3rd gear which kept triggering my engine safety shutdown. This is the second to last midnight drags at my local track ever, so I don't want any excuses or problems. 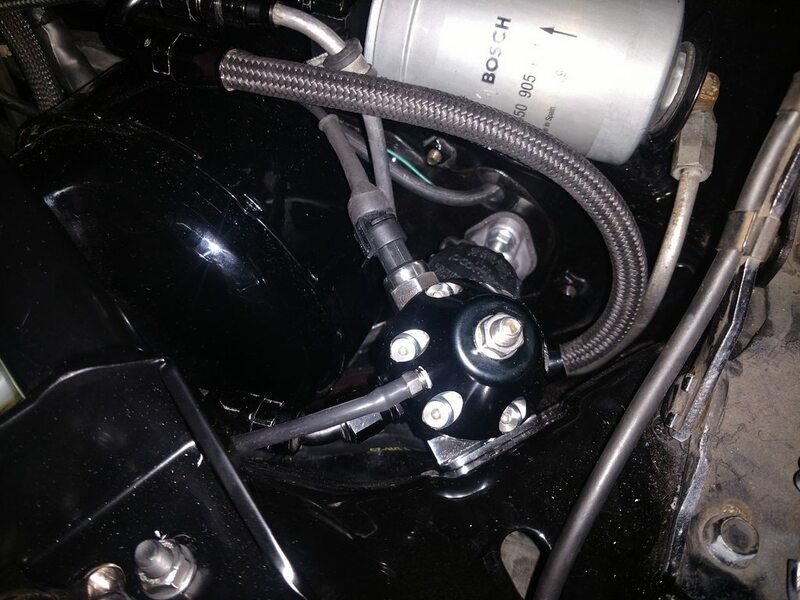 I bought and installed a new Deatschwerks DWR1000 regulator. It's got a much bigger body than the aeromotive, but uses the same fittings. I still don't hit my boost target, but the car moves out pretty well. I did a pull with a loud nice looking old camaro with pretty big tires and the license plate "evil 67" and put busses on him. I'm really excited to see what it'll trap at the strip. I don't care much about E.T, but I hope to see a good trap speed. interesting on the regulator. I've got the aero and you've got me thinking about some oddities I've had and mostly tuned around.. I think I'm off to set myself up for fuel pressure logging. Aeromotive 13130s are complete junk. Glad to see it's working again Tate! Went to the local drags and it was pretty eventful. One old police car dropped oil down 3/4 of the track and it took an hour to clean, and a late model mustang smashed the wall and deployed all airbags. Despite that madness, I got three runs in. The first one I didn't launch at all, just took off quickly. The second run I tried to launch at 2k rpm and bogged, and then missed second gear. I was trying to not spin, but was too conservative. The third run I launched between 3500 and 4000 and slipped the clutch. It felt pretty good. I didn't use launch control on any of the runs, but I don't think it would improve my trap speed. I don't really care about et as this is a street car I use mainly for rolls. If I was going to worry about et, I'd need to buy some slicks; I'm never going to have a decent 60' without them. The max boost I saw was 284 kpa, still shy of my 305 kpa target. 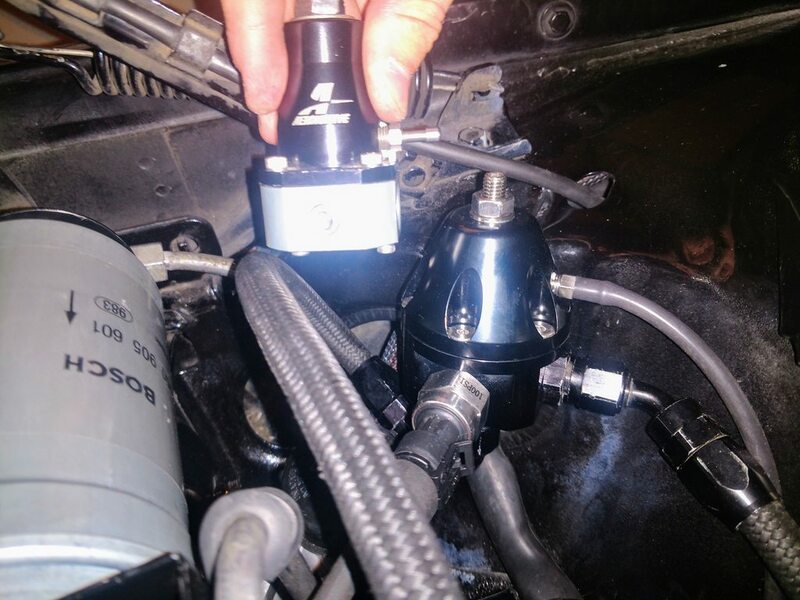 I really need a bigger turbo and some bigger injectors. My goal is above 120 mph. I really don't think I'll be able to get any more out of this turbo at this altitude. I'll be interested to see how much faster it feels at socal euro. Looks like 8 valves is plenty! Congrats on that mid 13sec run, I haven't seen too many red blocks that were "street able" do better than that. What head is on your engine, and what are the valve sizes? 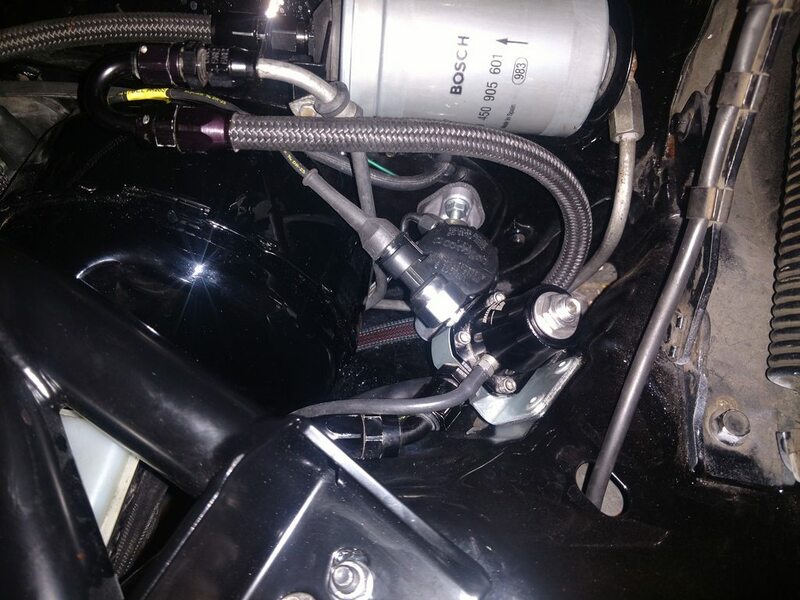 Doubting a stock 530 head...... do you data log exhaust gas temps? It's got a 530 that's been ported, has an rsi stage 3 cam, and 48 mm intake and 40 mm exhaust valves. I wish I knew what my egt was doing, but I don't log it. I'd like to, but I doubt I'll ever actually do it. Trap speeds are crazy good! Well done! Drop the 60’ and you’re potentially deep in the 12’s....nice job! Apparently the DA last night was 7280. I wonder what it would do at sea level. 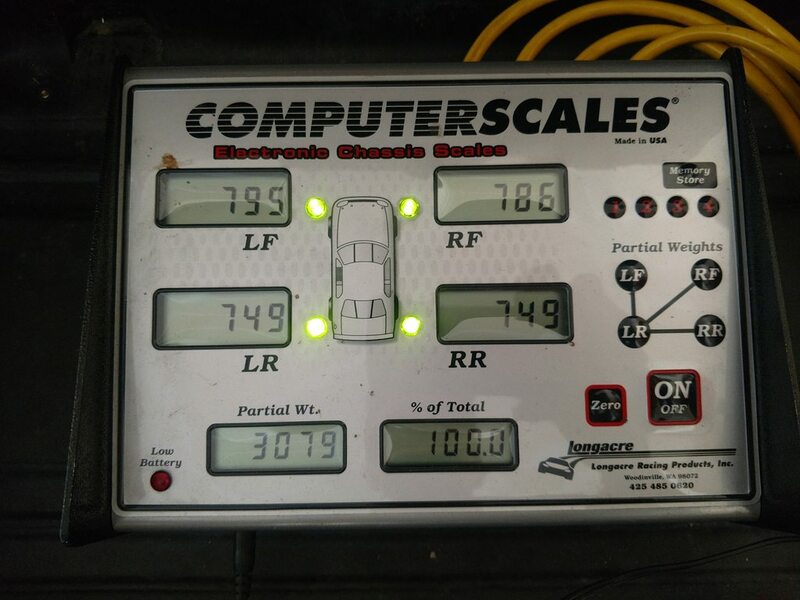 Weighed the car today to get some data to select my spring rate for the rear coilovers. 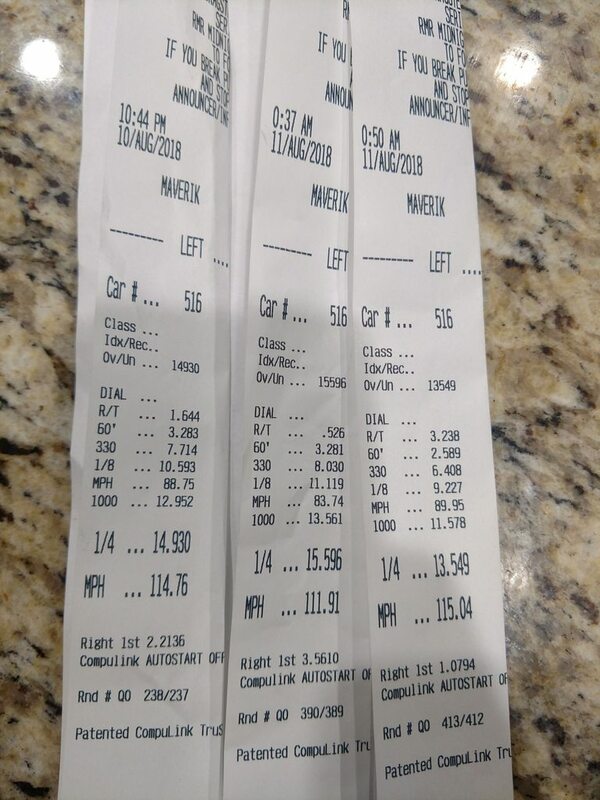 3079 lbs with a 51.4/48.6 front rear split and a 50.1/49.9 left right split. I'll throw off the splits when I'm in the car, but it's pretty good. I thought it would be a bit lighter, but oh well. I'll lighten it up a bit when I get rid of the commandos. How much fuel in the tank? All the stuff (spare, jack, etc.) in the trunk? Mine was 3036 with about 7/8 tank of fuel and WITHOUT the spare, jack, etc. in the trunk. About half a tank, and all the stuff in the trunk with a gallon of coolant. Is that 3036 with your v8? With T5z, Ford 8.8" rear and the 5.0L Ford cast iron block/aluminum heads. The LS3 in it now weighed 17 lbs. less than the Ford (basically long blocks with intake/exh, fuel, ignition); 393 lbs. compared to 411 lbs. But bell, clutch is heavier - so close to a wash I think on the engine swap. While my cross corners came right into 50/50 with minor spring adjustments, my front/rear was more like 53/47. Last edited by M.H. Yount; 08-14-2018 at 11:29 PM.. I think you're probably right. It's a wash on the engine swap, unless you add turbo stuff to the LS. My TKO definitely isn't helping keep the pounds off. I think that's the main cause of my weight. They apparently are somewhere between 30-50 pounds heavier than a T5 from what I've seen online. I should have weighed both of them when I had them out. T5 about 75 lbs. TKO about 105. T56 about 130. And a lot of the difference is rotating so it contributes to driveline parasitic losses. BTW - my comment about swap weights was related to mine -- SBF to LS. I have no idea what the difference is between the turbo Volvo unit and the V8's. 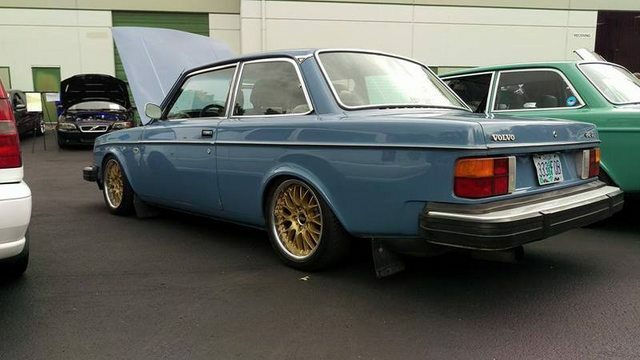 Never weighed the Volvo stuff. Mine also has fiberglass bumpers instead of the Commandos -- didn't weigh the Commandos, but there's likely another 50 lbs. there. And I think the junk in my trunk weighed about 70 lbs. IIRC. Add those two back in to get a better comparison between yours and mine. Seems about right. Really good numbers on the scales, I would raise the left side just a touch to offset you being in the car, but those are really close to being perfect! +30 lbs is about right. At least that weight is in the right location. btw... keep the commandos. they are most stylish. On an early car yes. On a turbo car, it's a toss-up. The LMs also weigh like 20 lbs each plus adapters.